Greg and I have gotten to stay in Dallas for three weekends in a row! It was a miracle, and things are about to get crazy again, but we have loved every second. We have enjoyed mambo limos, margaritas and bottles of wine with many a friend, chilled by the pool, eaten at lots of yummy restaurants, watched the Deathly Hallows part one on our projector, and this last Sunday we finally got to go to the Dallas Farmers Market. 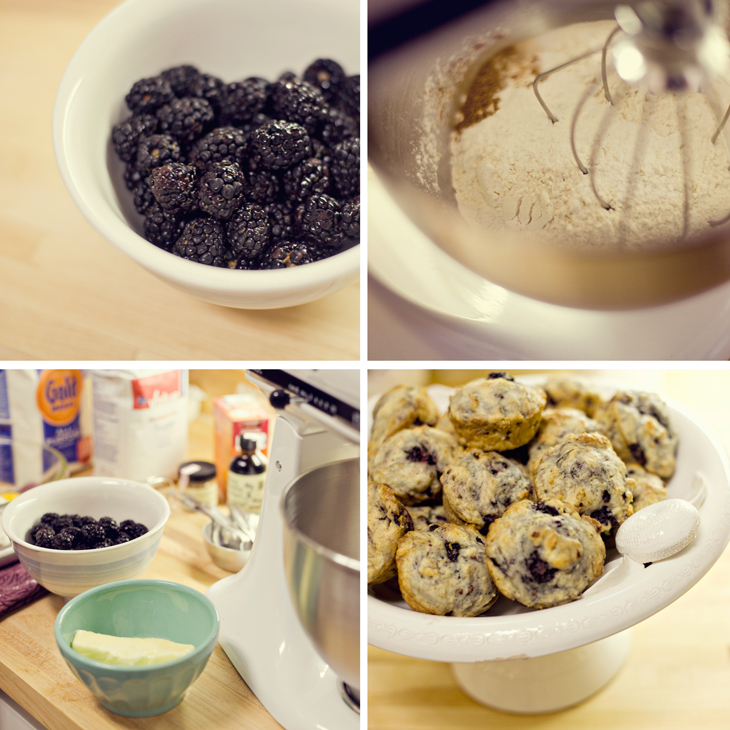 I got these beautiful blackberries there and yesterday I made these blackberry muffins, mmmm. I got to break in my new kitchenaid mixer too, how domestic of me, haha. Lucky girl! I can't wait for a kitchenaid! Those muffins look DELICIOUS! !